You want to do the work of changing the experience of school for your students so they can thrive in a world of constant change. It is hard work. Testing has become accepted practice despite a lack of credible evidence for any significant long-term benefit and the negative effects felt by students and teachers alike. 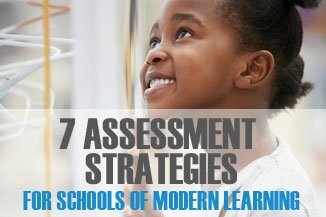 Our free e-book offers seven strategies to support assessment that supports learning. Tired of testing your students? Testing has rapidly become accepted practice, despite, and almost because of, the lack of reasonable evidence of any significant long-term benefit, or to support the introduction of the high stakes, standardized or norm-referenced testing we have today. In this free e-book, we give you 7 strategies to support assessment that supports learning. 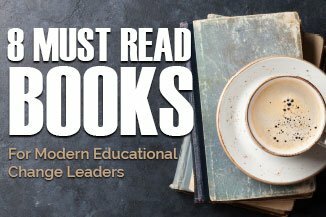 Modern learning is a healthy mix of both "modern" and "learning," and that's what you'll get in this book list for education leaders who want to push their thinking and their practice. We offer great starting points for serious conversations around change in schools. 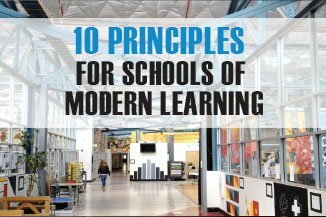 "Modern Learners is my must-read, must-listen-to source for keeping up with the changing world of education. With a limited amount of time and passion for changing school, I don't read or listen to anything else!" Change School is a unique, online, professional learning experience for school leaders seeking relevant, sustainable change in their classrooms. It's not a class. It's not a curriculum or a step-by-step recipe. Change School is eight weeks full of conversations, provocations, and reflections that force you to examine the very core of who you are as an educator while providing the support structures you need to define your next steps in driving modern learning in your schools. And, it's long-term (lifetime) access to a fast-growing community of educational leaders and thinkers from around the world who are engaged in the work of change at a high level. Education is changing. Lead it. Are you a school leader struggling to keep up with the rapid pace of change and innovation? Are you sincerely interested in pushing high-bar change in schools but often feel isolated in these pursuits. Modern Learners Community is for you. Our conversations, curated content, and live online events are guided by members’ real-life questions, experiences, and challenges. As an MLC member, you have access to blog posts, links, polls, shared resources and over 300 emerging and aspiring educational leaders. In addition, we hold regular live discussions and coaching sessions with the MLC team and special guests. Join the community and start creating real, meaningful change in schools. Push your thinking and your practice. Modern Learners Labs are intensive, interactive, and interesting one and two-day workshops designed to push your thinking and your practice to help you see what's possible for classrooms and schools in the modern world. Facilitated by the experienced, passionate team at Modern Learners, our Labs are small in number by design, but they are big on practical strategies for today's most important educational opportunities and challenges. We're passionate about learning and leading. There is a lot of exciting work going on behind the scenes at Modern Learners. With two of the top educational thought-leaders, Will Richardson and Bruce Dixon, traveling the world and talking to heads of schools and heads of classrooms, they bring years of experience and knowledge to the team. Missy Emler and Lyn Hilt bring their experience in and out of the classroom to provide strong voices in the movement to create change in schools.